Simple design and operation. Easy to manually lift open. No springs are used. 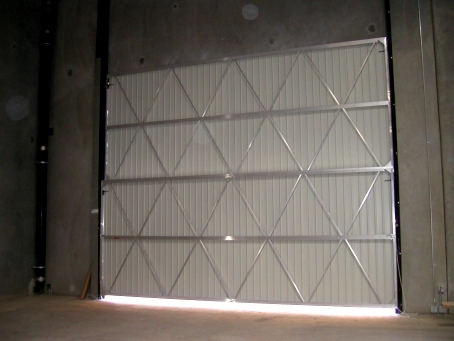 Doors are counterweighted with cables and a steel gravity weight. Low maintenance. 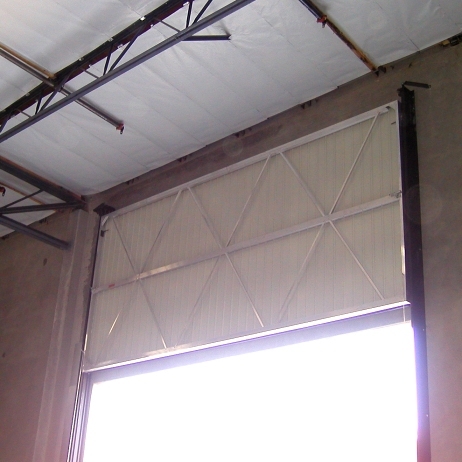 Safely stores doors above door opening parallel to wall, minimizing forklift risk. Doesn’t obstruct work light from skylights or other lighting fixtures near the door opening. 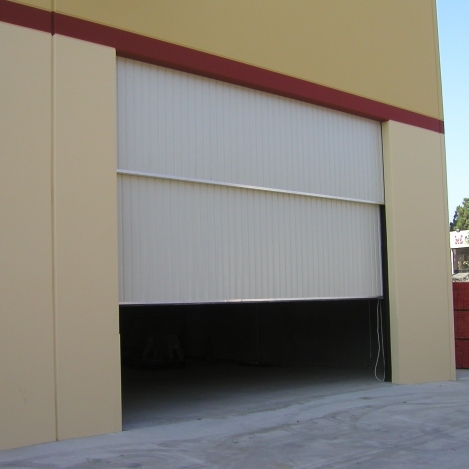 Must have headroom above the door equal to half the door opening height plus 1ft.